Dr. Garry W. Warren is Emeritus Professor of Metallurgical & Materials Engineering at the University of Alabama in Tuscaloosa, AL. Prof. Warren obtained his B.S. and M.S. degrees in Metallurgical Engineering at the University of Texas at El Paso in 1970 and 1973, respectively. He completed his Ph.D. in 1978 under the supervision of Dr. Milton Wadsworth at the University of Utah. Dr. Warren then spent eight years on the faculty at Carnegie Mellon University before moving to the University of Alabama in 1986. He has been active in various areas of research including fundamental and applied electrochemistry, especially corrosion and aqueous electrochemistry, kinetics, chemical and process metallurgy, and computer aided instruction. 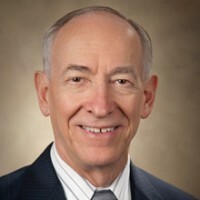 He has served in many academic capacities at the University of Alabama, including one year as Interim Department Head, and was a founding member of the Engineering Teaching Academy in 2006. He was also the Director of the Materials Science Program at the University of Alabama from 2008-2013. For many years he has been active in The Minerals Metals & Materials Society (TMS), and served several terms on the Board of Directors including Director of Publications, Financial Planning Officer, Vice President, and President in 2011. He was recognized with the Distinguished Service Award in 1998 and the Structural Materials Division Education Resource Award in 2007. He continues to serve the profession as a TMS trustee on the AIME (American Institute of Mining, Metallurgical, and Petroleum Engineers) Board of Directors. © 2015 - 2019 Acta Materialia, Inc.